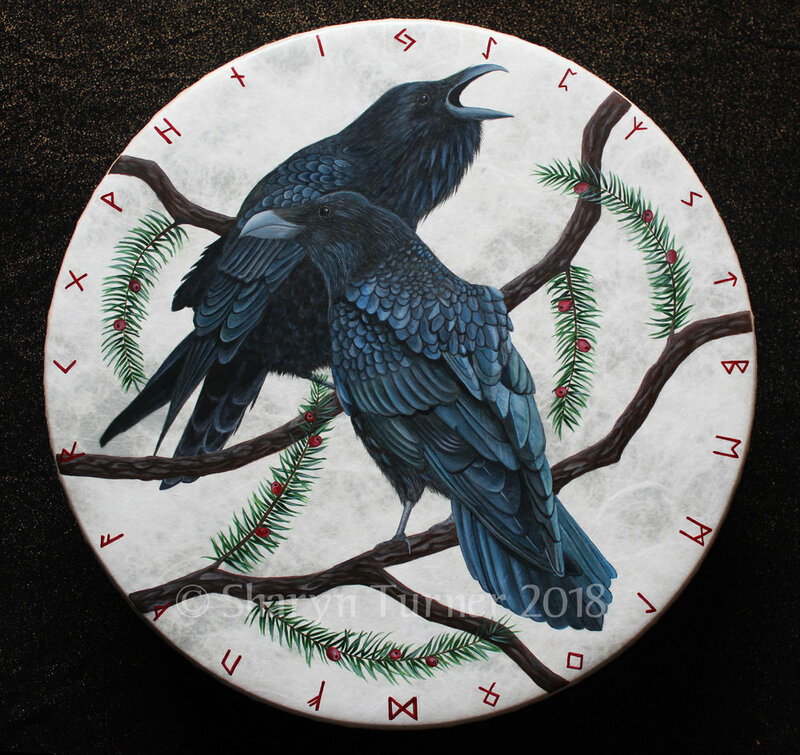 If you would like your very own unique, beautiful painted shamanic drum then I know I can help you. I just love painting drums for my clients. I put love and energy into each one as I bring it to life. Each drum takes hours of intricate work as I connect with the spirit of the drum and the Spirit Animal. You can see more on my Shamanic Drums page. "This workshop was magical and transformative: I would recommend it highly to anyone who wants to explore their creativity and/or connect with shamanic traditions and further their personal growth. 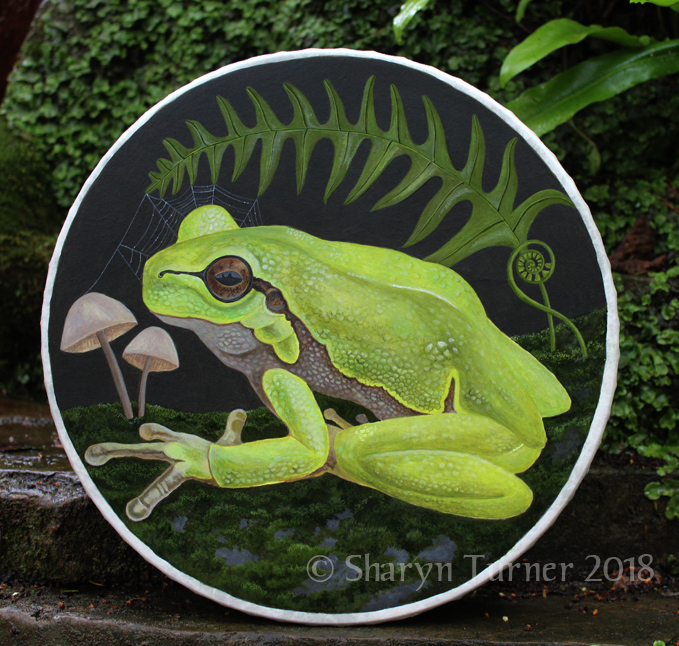 Sharyn is a gentle, respectful and wise teacher who creates a safe and magical space for personal transformation through artwork and shamanism. 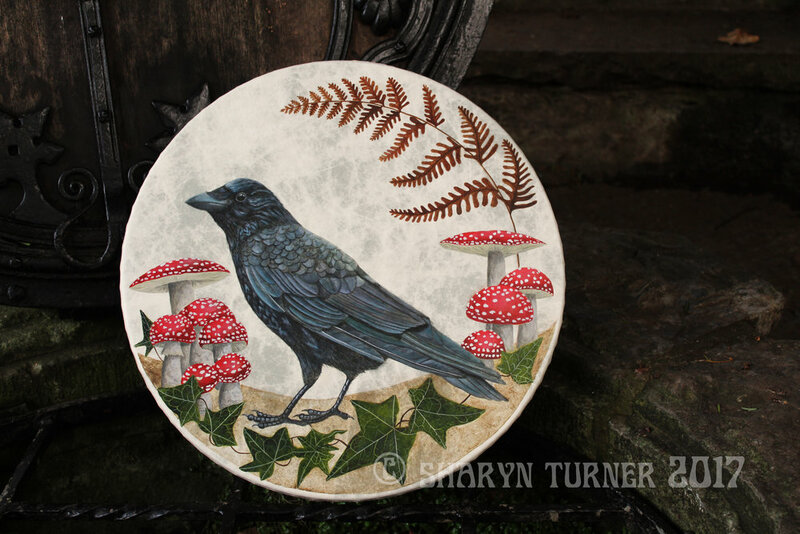 She balances wisdom about the Norse tradition with powerful shamanic journeys and technical expertise in how to use different painting techniques. There is no judgement of the artwork, so this allows everyone to blossom, and even someone who is very inexperienced and nervous about creating art would feel supported to shine and produce something they can be proud of. The planning of the event was excellent, and included a visit to an ancient longbarrow, which really was very special and inspiring. A powerful and wonderful experience for me and I would encourage anyone to take this course as it will change how you see yourself and your creative gifts." Like my page on Facebook to see my latest pieces of art, works in progress, what's going on in Glastonbury and be informed about offers and competitions. The latest rune video from my YouTube channel - Glastonbury Shamanic Art - where I explore the runes and how they relate to their place on the wheel As the seasonal wheel turns we explore each rune as it sits on this northern traditional medicine wheel. Tune in for runic insights and runic chanting set in the sacred Glastonbury landscape.